These findings are described in the article entitled Equations defined using gene expression and histological data resolve coeliac disease biopsies within the Marsh score continuum, recently published in the journal Computers in Biology and Medicine (Computers in Biology and Medicine 104 (2019) 183-196). This work was conducted by Richard P.G. Charlesworth, Linda L. Agnew, and Nicholas M. Andronicos from the University of New England, and David R. Scott from the Hunter New England Area Health Service. Protecting you from infection on a daily basis is your immune system. This tireless network of cells, organs, and tissues function together to screen your body constantly for any sign of invasion. At the same time, your immune system also performs “housekeeping” functions and rids the body of old, damaged, or diseased cells. Sometimes, however, for reasons that research is trying to answer, the immune system turns on the body and begins to attack self-cells and self-tissues. This leads to autoimmune diseases; such as type 1 diabetes, rheumatoid arthritis, and Graves’ disease. I have a close relationship with one autoimmune disease in particular: coeliac disease. I was diagnosed with the condition when I was 15 and have learned to live with it since. Coeliac disease is a condition where the immune system misrecognizes a harmless dietary protein, gluten, as a dangerous invader. Once recognized, cells of the immune system do everything they can to remove gluten from the body, and, unfortunately, this results in the destruction of the lining of the small intestine — this destruction leads to a number of symptoms including diarrhea, abdominal pain, and bloating. There is a treatment, however, and that is to completely remove gluten from a patient’s diet; doing this removes the antigen from the gut, stops the autoimmune reaction, and allows the tissue to heal and regain its function. The prevalence of coeliac disease is slowly increasing throughout the world, and it is thought that around 1% of the western population is now affected by the condition. Mainly a disease of Caucasians, coeliac disease is now also seen in populations not classically affected. Why this increase in prevalence? That we just don’t know yet. Coeliac disease has both a genetic and environmental component, and it is the complex interactions between these two factors that cause the condition. Once the immune system is sensitized to gluten, there is no reversing this reaction, and these cells will always be lying in wait in the intestine and be ready to respond. A major issue in the management of the disease, and where my research is focussed, is the diagnosis of the condition. In a perfect situation, a patient presents with diarrhea and abdominal pain and undergoes a blood test which looks at a number of coeliac-specific autoantibodies within their serum. If these tests are positive, the patient undergoes an endoscopy and biopsies of the small intestine are taken to be examined under the microscope. If the hallmark features of coeliac disease are seen, including atrophy of the tissue and increased numbers of immune cells, then the diagnosis is confirmed and the patient can start their gluten-free diet and be on the road to recovery. Sounds great right? So simple? Unfortunately, this is not the case. Patients present with coeliac disease in a spectrum. Firstly, the classical coeliac symptoms may not be present, with a combination of non-specific gastrointestinal and non-gastrointestinal symptoms confounding the diagnosis. Secondly, levels of autoantibodies can fluctuate in the blood and some patients with IgA-deficiency may not produce these autoantibodies at all. Thirdly, the appearance of the small intestinal damage in coeliac disease can be highly variable, with some patients showing severe destruction and very little symptoms and vice versa. There is a risk that very subtle changes can be missed or misinterpreted and this can delay treatment for patients. Confounding all of this is the rise of the gluten-free diet trend, with many people “going gluten-free” to relieve gut issues. 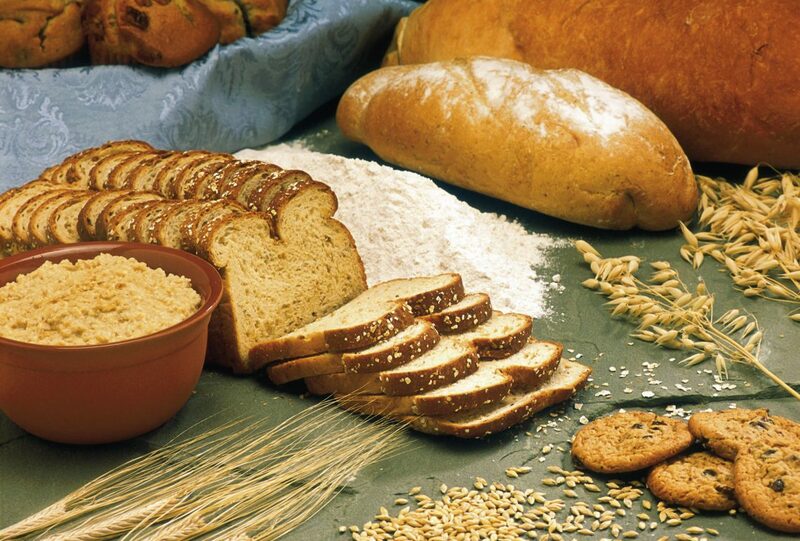 Once gluten is removed from the diet, the tissue will slowly start to revert back to its normal appearance, meaning that the true extent of the coeliac damage may be masked during diagnosis. So, what can be done about this? How can we diagnose coeliac disease quickly and easily and in enough time to give the best patient outcomes? There are two opposing views: 1) we need completely new diagnostic tests for the condition; or 2) we need to update or change the current testing protocols that we have in place. My research leans towards the second of these options. Designing my studies, I realized that the human element was the major downfall in the testing of the condition. A perfectly oriented and well-stained small intestinal biopsy from a patient on gluten with positive blood tests is sometimes not possible to obtain. Because of this, I wanted to design algorithms that could diagnose coeliac disease on their own or be used as a companion test. I chose first to objectively look at changes to the tissue under the microscope and try to assign numerical values to what could be observed. This worked and the algorithms could separate patients, but it was not able to do it as accurately as I. Realizing that gene expression underpins changes in the tissue, I then looked at changes which were occurring in the expression of immune, structural, and absorptive genes within the intestine of these patients. Using the data from this analysis, the algorithms generated were far more accurate and more readily able to separate patients into their respective classes of coeliac severity. It also showed that changes in gene expression were seen earlier than changes in the tissue, meaning that coeliac disease could be detected far sooner in these patients. The next step was to combine both datasets and then simulate how these algorithms would perform in a large population of coeliac patients. This was the focus of the most recent paper where it was shown that algorithms generated from both tissue and gene expression data could accurately classify 99.6% of both the real-life and simulated patients. It was also shown with 3D modeling that treatment progression of patients could be monitored more accurately. These algorithms are not ready to be used in routine diagnostics yet and it will take further research with a much greater number of patient samples to fully capture the spectrum of coeliac presentation. It is hoped however that one day they will form the basis of diagnostic tool that can be used on its own or as a companion test to improve the diagnosis of coeliac disease.